Great service and they were willing to pay for a cab if they could not get a hold of the last shuttle of the night. great room, very quiet and close to the airport. Underground parking was easy to use. Friendly, helpful staff. Very comfortable bed. Quiet, despite the room being on a busy street . 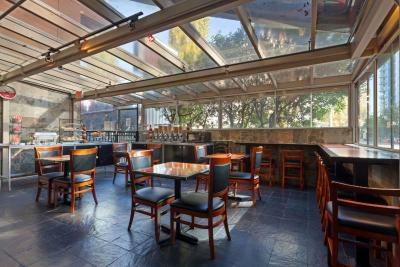 Western restaurants within walking distance. Good breakfast - friendly and helpful staff. Free shuttle to airport! The breakfast staff was very friendly and helpful. And the facility was fine. Thank you. We were exhausted as we had just missed our flight, the lady at the reception was extremely accommodating she booked us a wake up call and taxi for the morning. She also found found us a quick place to eat. Great location, great staff, basic breakfast but good! 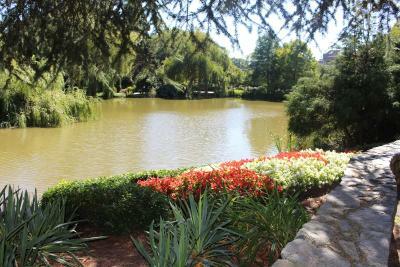 Great location, quiet, staff was very friendly, room was clean. For the price it was good. Bed and room were comfortable. Breakfast is basic but fine 6:30-10. Good staff. Airport shuttle every 1/2 hour. Ramada Limited This rating is a reflection of how the property compares to the industry standard when it comes to price, facilities and services available. It's based on a self-evaluation by the property. Use this rating to help choose your stay! 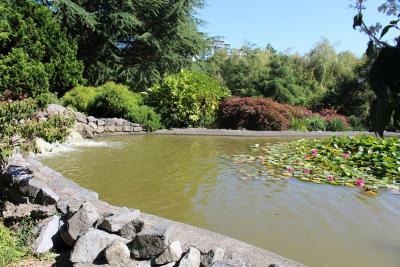 One of our top picks in Richmond.Less than 3.1 mi from Vancouver International Airport, this hotel in Richmond offers an airport shuttle service and a free continental breakfast with pastries, fruit, and juice. Free WiFi is available throughout. 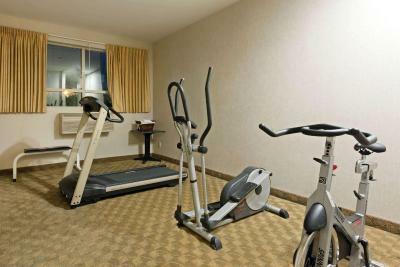 Guests can workout in the fitness center or go shopping at the nearby Richmond Center Shopping Mall. Richmond Hospital is only 550 feet from the property. Quilchena Golf & Country Club is only 8 minutes' drive away. 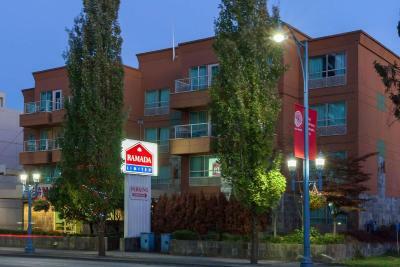 When would you like to stay at Ramada Limited? 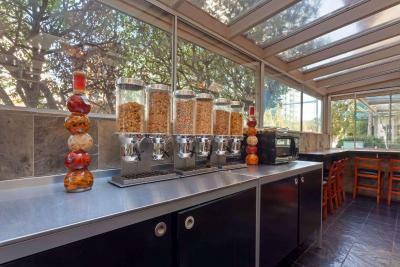 This spacious air-conditioned room features a 32" flat-screen TV and a tea/coffee maker. Please note, the maximum occupancy is 4 people (including both adults and children). This air-conditioned room features a 32" flat-screen TV and a tea/coffee maker. This double room features a view, seating area and air conditioning. 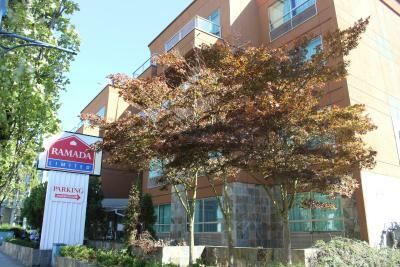 House Rules Ramada Limited takes special requests – add in the next step! Ramada Limited accepts these cards and reserves the right to temporarily hold an amount prior to arrival. Please note, maximum occupancy in all rooms includes both adults and children. Please note, the hotel shuttle bus runs from 05:00 until 23:00. -Runs Every 30 mins on the quarter hour from the airport. Great breakfast with super gal. ... 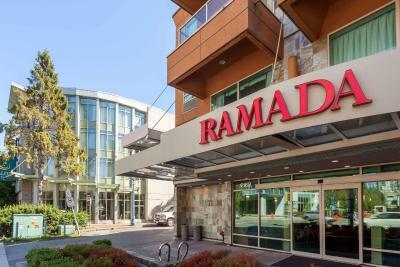 I would say the Ramada reception people have always shown interest and kindly answered .... the other good point is the lower car park with safe automatic gate activated by the personal chip key. Shower was good. However we had the first room off the front desk and it was very loud with someone working on vending machines outside our door at midnight. We had to leave the hotel at 545 and continental breakfast did not start until 630 which was disappointing. Airport shuttle doesnt run past 11. Night manager took care of my shuttle problem. Breakfast room seating a bit tight. Breakfast was cold boxed eggs and cold dry sausage. We also didn’t get down to breakfast until about 1/2 hour before they closed so that was part of it. They had cereal, fruit, muffins, toast and bagels, and coffee juice though which was nice. The main problem that this facility has is the underground parking. But it is probably unsolvable. Very comfy beds, very friendly staff, close to everything I needed. Excellent to have free transport to the airport in comfortable shuttle on a continuous schedule, and having a nice breakfast included. The free parking was important too. Thanks!